These 2 spotless self-contained Guest Houses inside a secure, guarded complex in an upmarket quiet suburb of Harare. Each guest house has a twin En-suite room that can be rented separately and comprises of WiFi and DSTV. 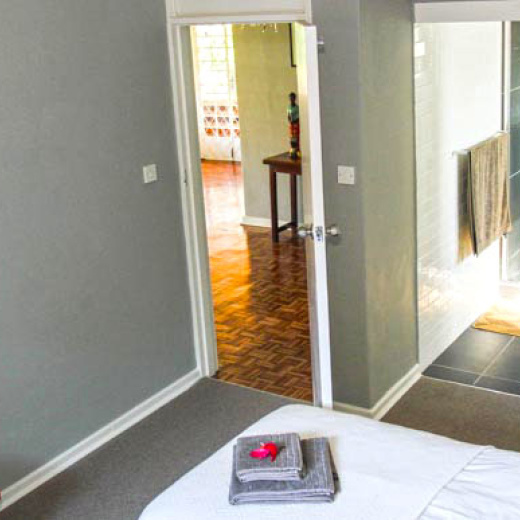 The Sunbird Guest House consists of two separate neat self contained units aimed at the business traveller inside a secure, guarded complex in an upmarket, quiet suburb of Harare. Each comprising 2 x double bed rooms and 1 twin bed room all en suite, all with DSTV and internet available free of charge. Both units also have a lounge/dining room and fully equipped modern kitchen, verandah and garden. Situated between the airport and the city we are in easy access of the City Centre, for those coming for business. The Sunbird Guest House is close to business, transport and tourism hubs with good local restaurants and supermarkets. We can arrange airport transfers if required.